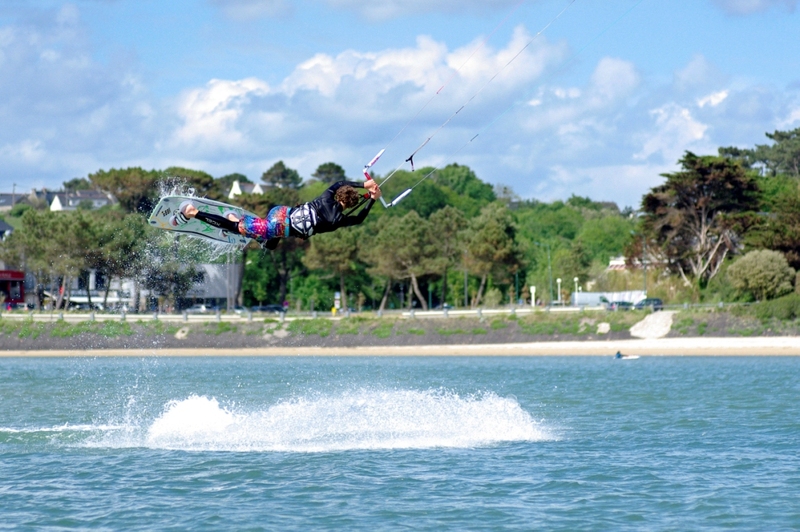 My name is Lazare Gournay, I’m 15 years old and I live in Brittany, France. 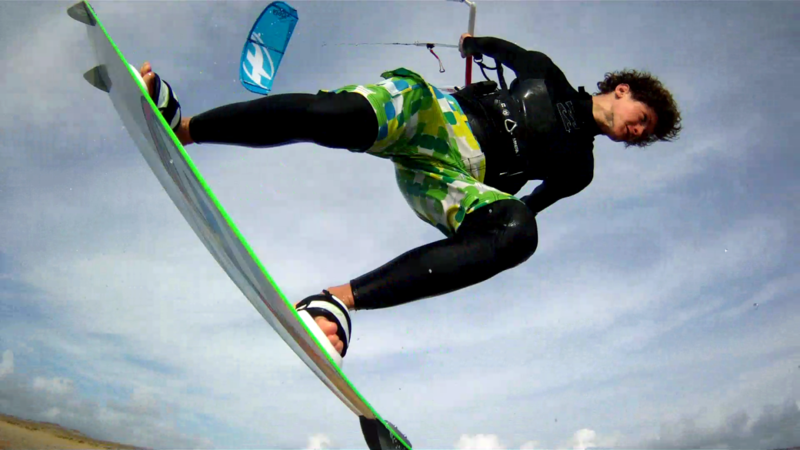 I started kitesurfing 3 years ago with my cousin Louis Hutter, who is a great kitesurf champion. Since then, I’m preparing myself to be a great champion like him. My father who is a rider too, helps me a lot in that task by always going with me on training and competitions whenever he can. I started competing when 14 yrs old by winning the Aquitaine Junior Championship (a regional competition). 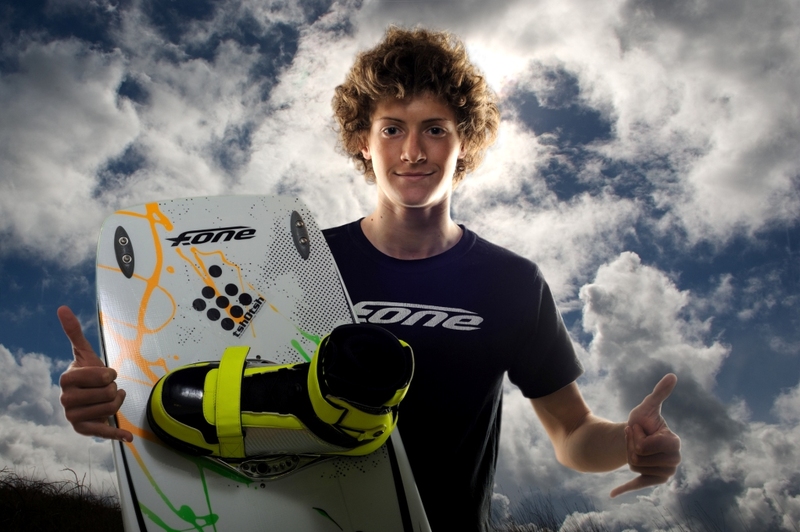 Today, I’m sponsored by F-one, Manera, and tshotsh, and I’m part of the F-one “Next Generation” Team. I’m working hard on my training to reach my objective, which is the PKRA tour! I would like to reach the necessary level to ride on the PKRA tour, and maybe to win it. 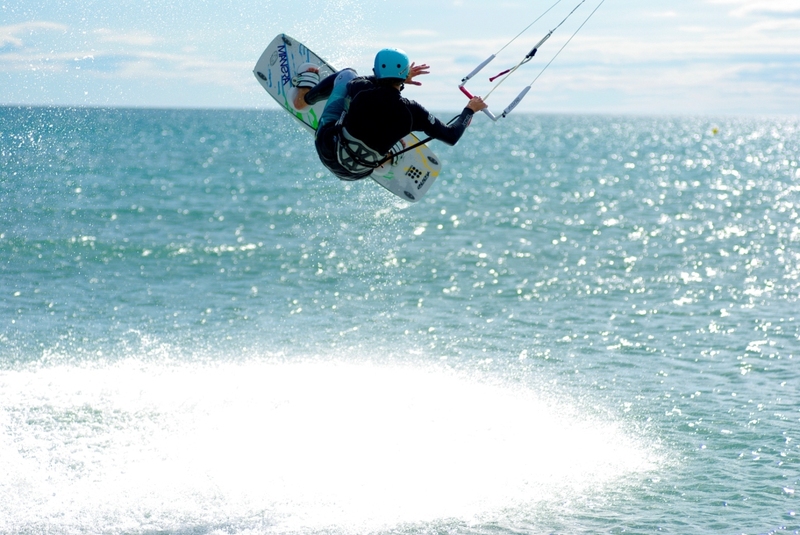 I would also like to be part of kitesurf development in a technical and popular way. My dream would be to be the first French rider to win the PKRA. 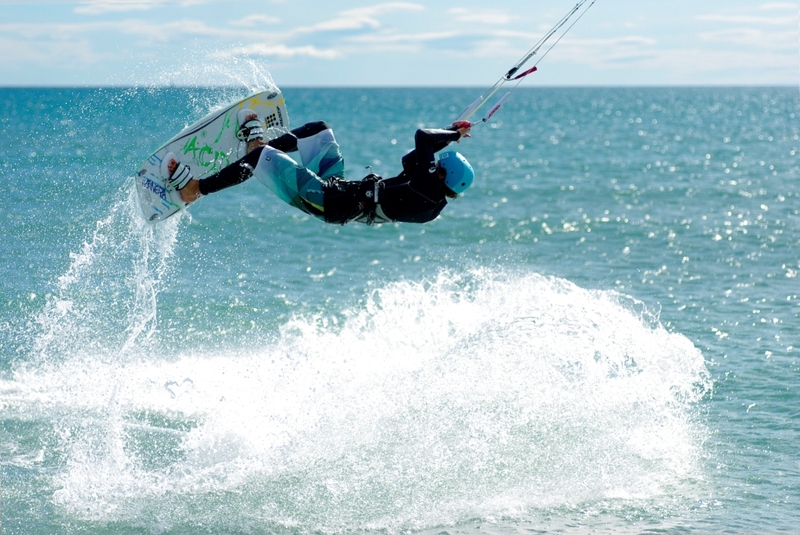 For me, one of the hardest things in practicing kitesurf at a high level is to keep away from injury. Another thing is to manage your training to progress at a good rhythm. This way your body can follow your progress. It’s important to be patient, not to progress too fast. 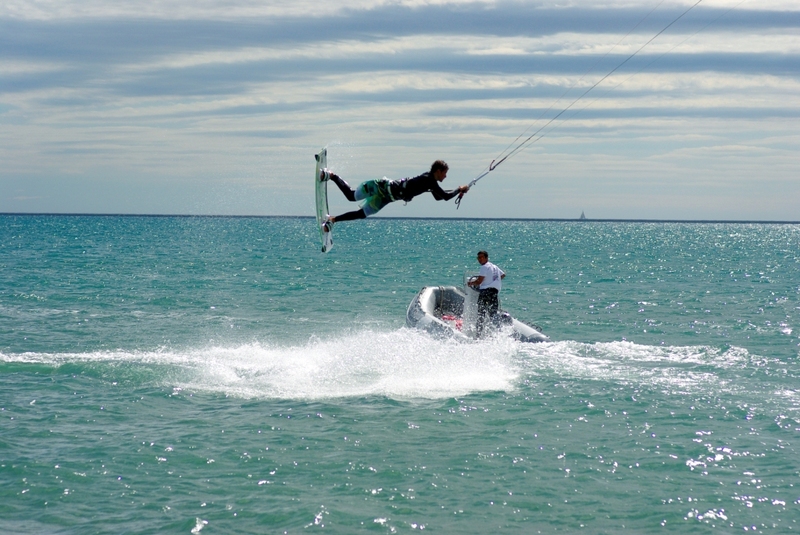 I’m satisfied when I do all my tricks fine, especially when I’m riding with other kite-surfers practicing freestyle. I have the chance to do that time to time with my cousin Louis Hutter. It is very motivating to ride with a great champion like him. Of course on my home spot in Guidel (Brittany, France), but most of the time everywhere. 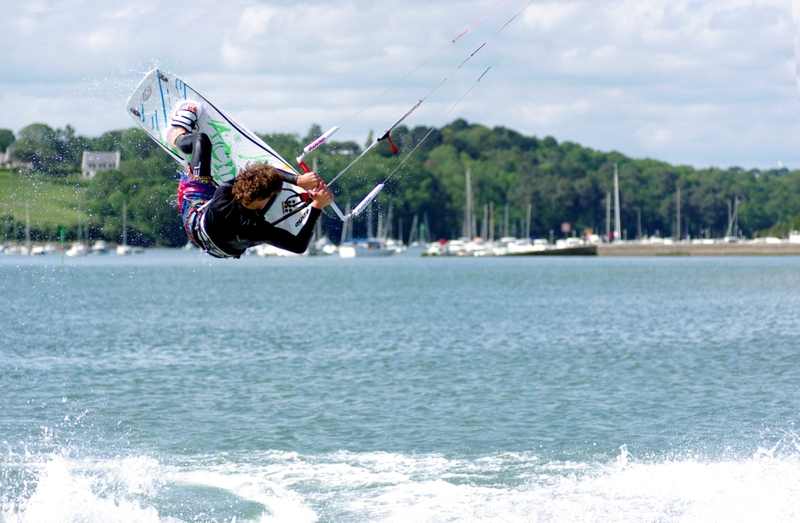 In my bedroom, my living room, my kitchen, at school, I’m always practicing my trick even off the water, so I can memorize better all the movements that I have to learn to be a champion. As in many sports practicing is the key. I choose what tricks I’m gonna work on before riding. I choose 2 or 3 tricks maximum during a session. I want to stay focus on my objectives. And before my session, I try to visualize mentally every movement that I have to do to succeed. Like this, I’m improving my technique almost in every session. The first round of the competition is the most difficult for me, because you can be removed from the contest in 7 minutes. And you never know who’s gonna be the rider you’ll have to face. For example, during my last France Championship, I rode with Loukas Pitot who won the contest. That’s mostly hard. That is and always be my cousin Louis Hutter, who is the best French rider on PKRA tour these last years. 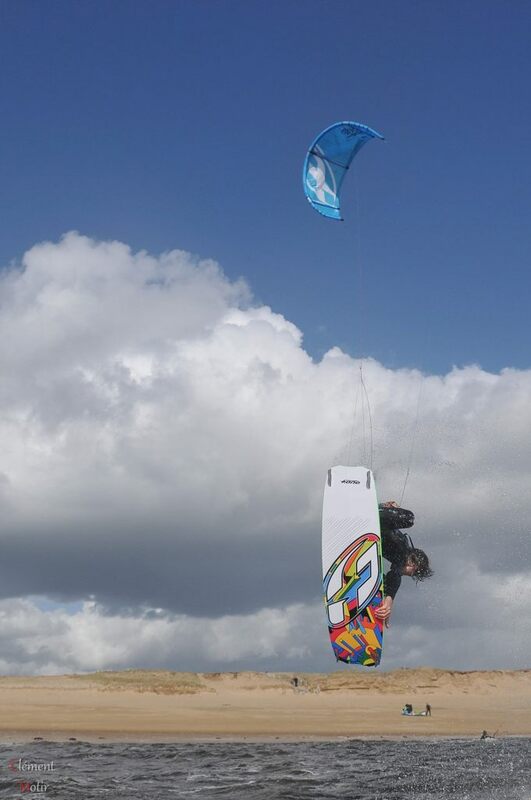 He taught me how to kite, and still gives me lots of support and advices. I have also a great admiration for Aaron Hadlow’s style and power when riding. The best advice that was given to me is to never give up and go forward to your objectives, no matter what. I plan to participate in my first Junior PKRA this year. I will also participate in the European and French Championship as I did in 2014. Otherwise, I’d like to make kite trips (as many as possible) to keep on progressing and shooting some videos in nice places around the world. First of all, I would say that you have to start kitesurf with a graduate kite school teacher (3 days is mostly enough). 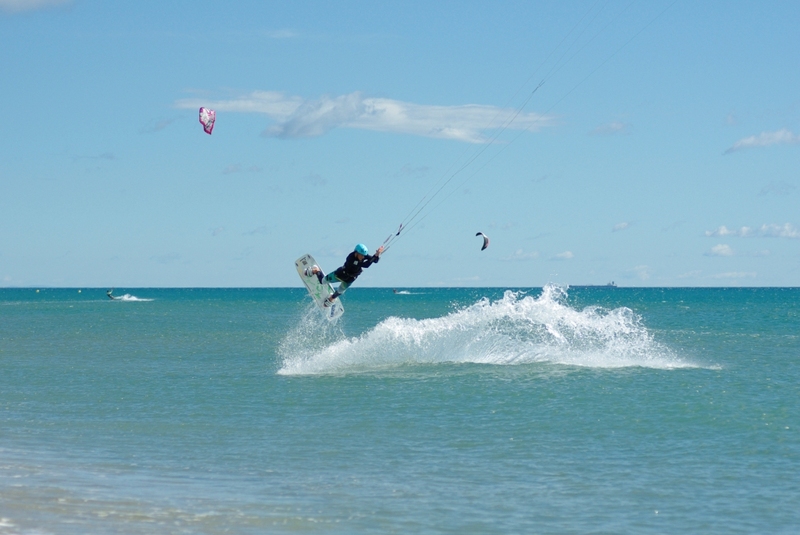 Kitesurf is not really dangerous when you have some practice, but at the beginning your can make very big mistakes with your kite, and that can be dangerous for you and other people. That’s why a teacher is mostly needed. After that first step, the most important is to have fun when riding. 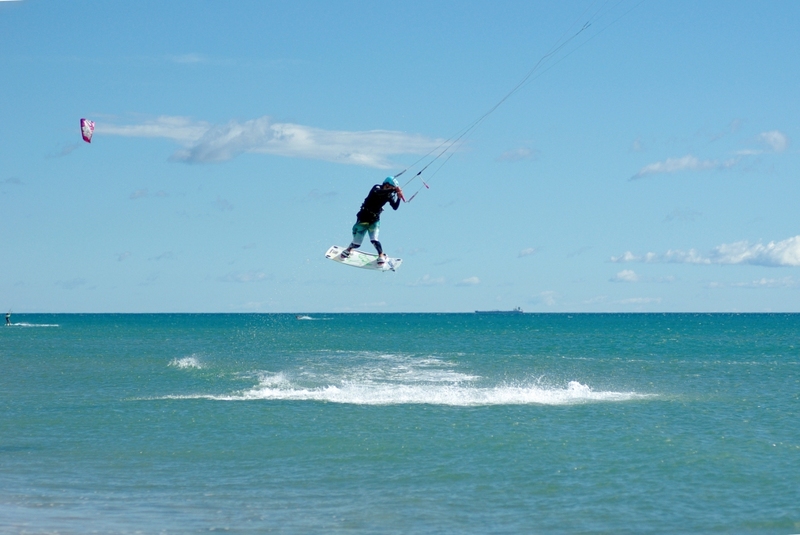 Kitesurf can be fun whatever your level is. And as I do for myself, try to keep away from injury. 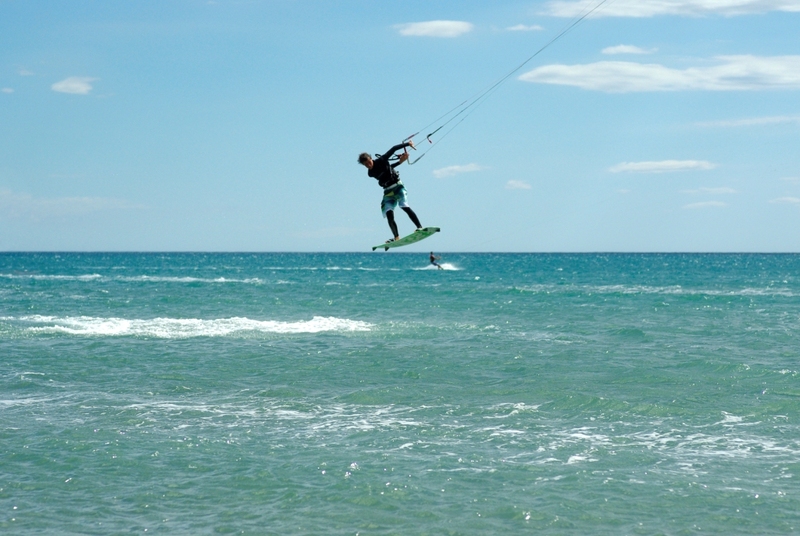 Always warm up before going on riding, it is very important as long as kitesurf is a very physical sport (that can be practiced by anyone).